Secure Parking is Available. Shuttle Services are Available. We have a fully licensed bar perfect for a drink at the end of a great day! We also have Entertainment Area. We cater for Buffet Breakfast, Lunch served on request and Buffet Dinner. We also serve Al-carte. 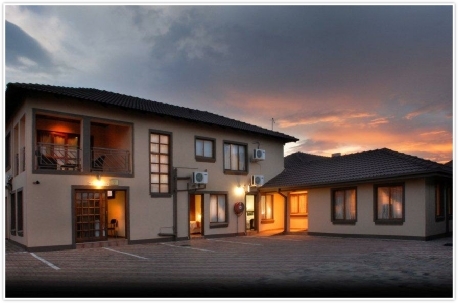 We have 24 Luxury Air-conditioned rooms. Guaranteed for a good nights sleep! We offer full Room Services. We are proud to say we have won The Lilizela Tourism Awards for 2015. Provincial award for Accommodation.